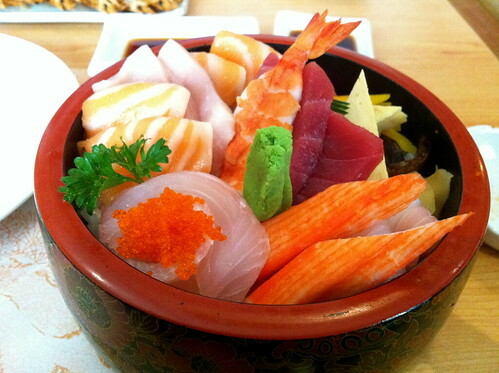 Step 1: Order Chirashi Sushi. 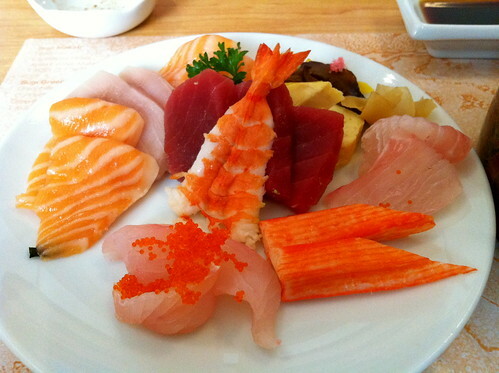 Have them replace ika (squid), tako (octopus) and saba (mackerel) with sake (salmon) and kajiki (blue marlin). 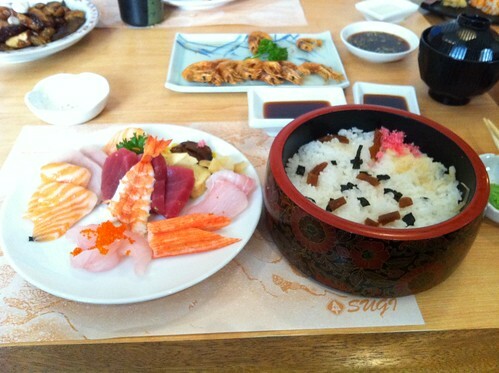 Step 2: Disassemble sashimi and rice. Step 3: Reassemble in tummy.